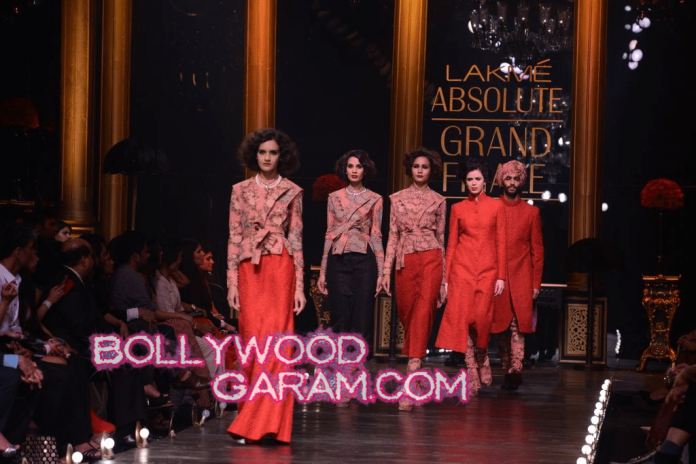 BollywoodGaram.com: At the grand finale of the Lakme Fashion Week Winter/Festive Season 2013 held on August 27, 2013, Indian fashion designer Sabyasachi Mukherjee presented a stunning Indian wear royal collection. 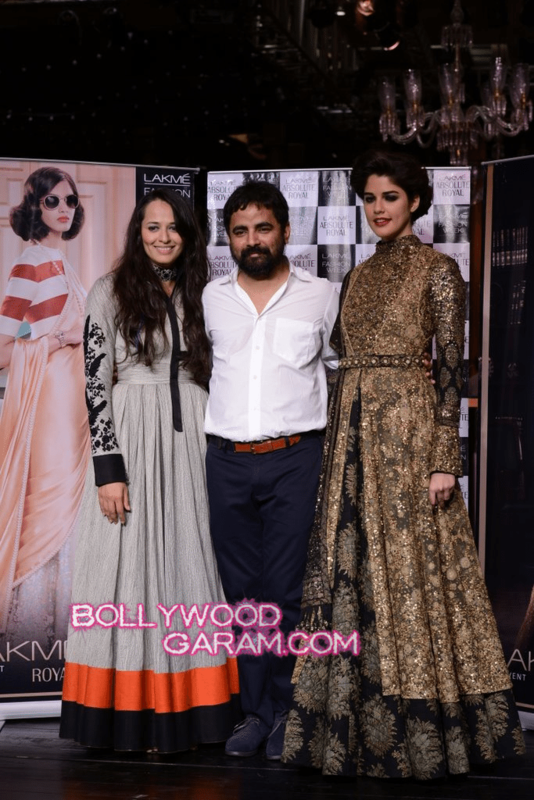 The show displayed Sabyasachi’s interpretation of Indian royalty and featured the Absolute Royal Collection range of Lakme and its two magnificent day and night looks. 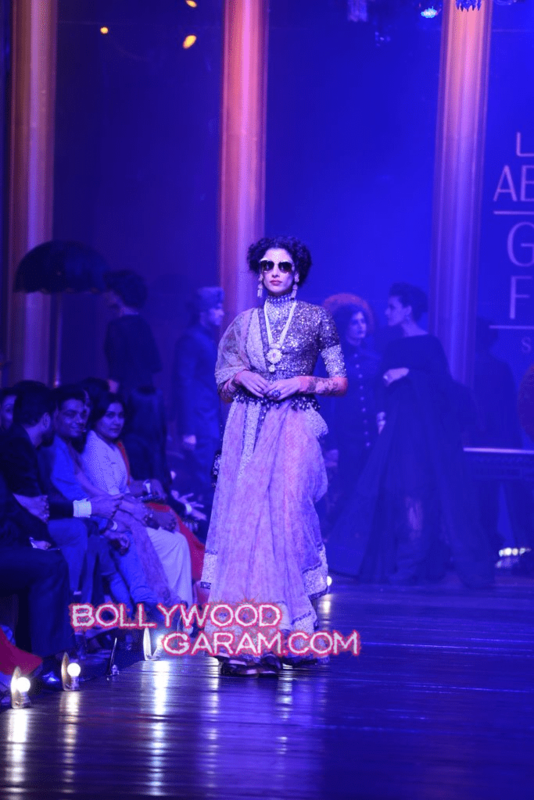 The presentation created by Sabyasachi was the season’s most-awaited show after a hiatus of five years. 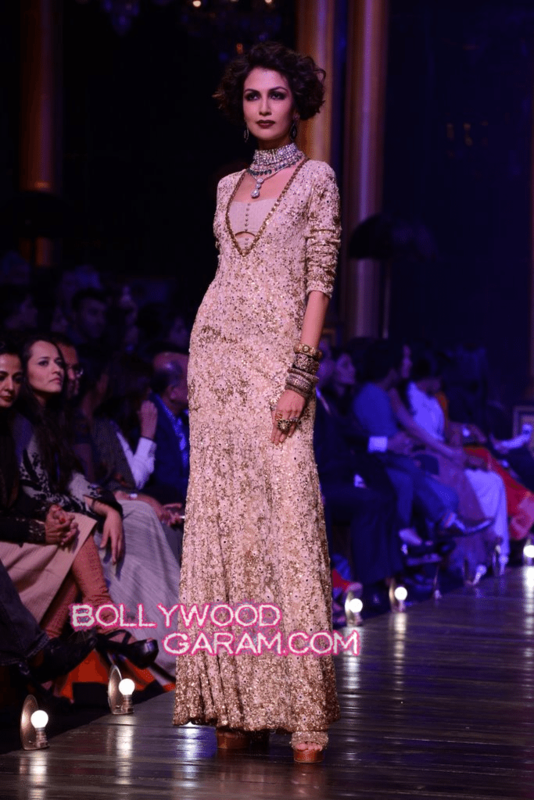 The show started off with a model who was singing a song, as seven big chandeliers were lit and models walked down the runway. This time, there was no show-stopper, but many celebrities made their presence felt at the finale, including Nargis Fakhri, Kalki Koechlin, Sameera Reddy and Shraddha Kapoor.